The integrity and Availability of your critical business information and data is non-negotiable should your organization follow the path of the digital era. It is imperative to focus your attention on protecting your data and making sure it’s always available to serve you and your customers’ needs. Sometimes, circumstances can vary and you need to adjust your company’s investments based on its resources. Being on a budget and reducing investments can weaken key areas of your organization, but the integrity of your data shouldn’t be affected. At Veeam, we have many FREE solutions ready to sharpen the reliability of your data. Today, I will showcase some of our free tools and explain how you can actually reach a high level of protection at no cost, for both your organization and your personal use. 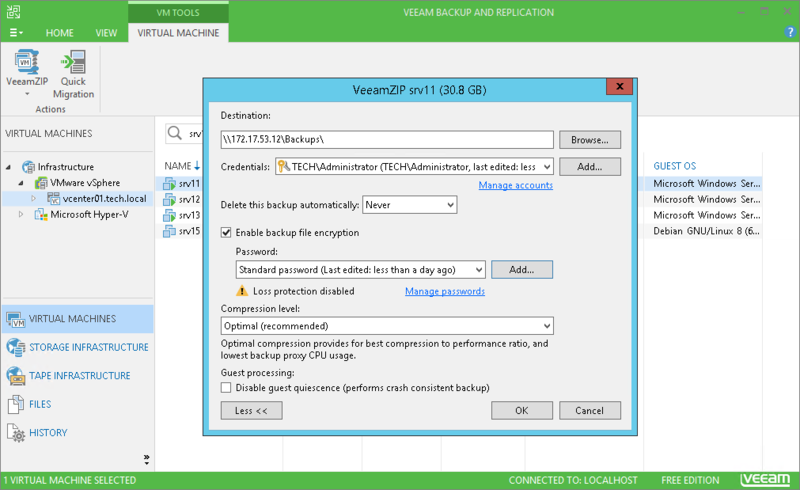 Veeam Backup Free Edition is an effective tool for backing up, restoring and managing your virtual infrastructure, mainly known for the VeeamZIP functionality. VeeamZIP allows you to perform interactive full backups without state interruption and store them on the local host, to a network share or on a removable media (USB or external hard drive). Another cool thing about this free edition is that it has no expiration date and no limitation on the number of VMs on your VMware or Hyper-V workloads and it is actually quite rich in functionality and features. When you create a VeeamZIP file, Veeam Backup Free Edition copies VM data, compresses it and stores it to a full backup file (VBK). Experience has taught us that it's better to prevent than to cure. 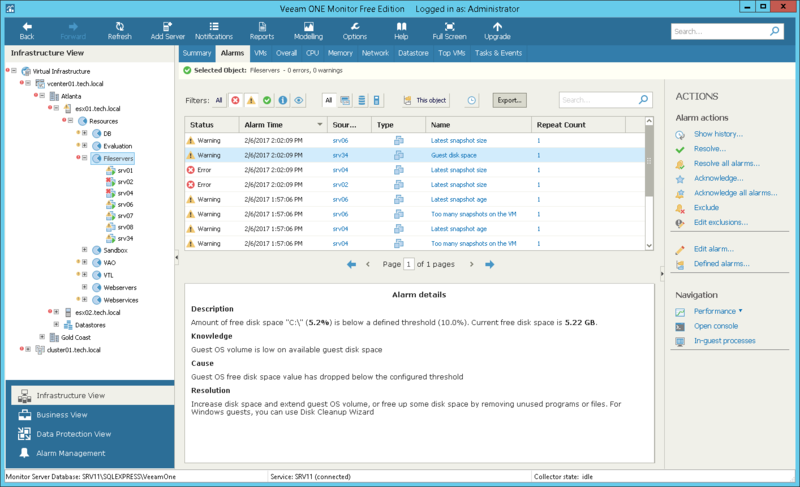 Veeam ONE Free Edition is our monitoring tool that can help you gain complete visibility on your VMware or Hyper-V environments and identify issues before they impact your workloads. I would say the main job of Veeam ONE Free Edition is to make IT admins’ lives easier with real-time alerting, resource allocation prioritization, dynamic groups and much more. If a problem or a potential issue occurs in the managed environment, Veeam ONE triggers an alarm. A user can view alarms triggered by Veeam ONE. Every alarm has a knowledge base article with detailed information about the issue, its cause, resolution steps and links to more details. Veeam Endpoint Backup FREE is a simple tool designed to backup Windows-based laptops and desktops, and rapidly recover lost data in case of failure. There are many scenarios in which this solution can come in handy — your PC is corrupted by malware and can’t access data or the OS fails to start. Because of its flexibility, you can perform full backups of the entire PC, volume-level backups for selected drives or file-level backups for particular files and folders. Veeam Endpoint Backup FREE is compatible with Windows 10, can be integrated with Veeam Backup & Replication and can easily be installed on the computer you want to protect. I recommend trying the beta version of Veeam Agent for Microsoft Windows, the successor of Veeam Endpoint Backup FREE that will be released soon and will bring more business-oriented features. But no worries, there will always be a free version of Veeam Agent for Microsoft Windows! 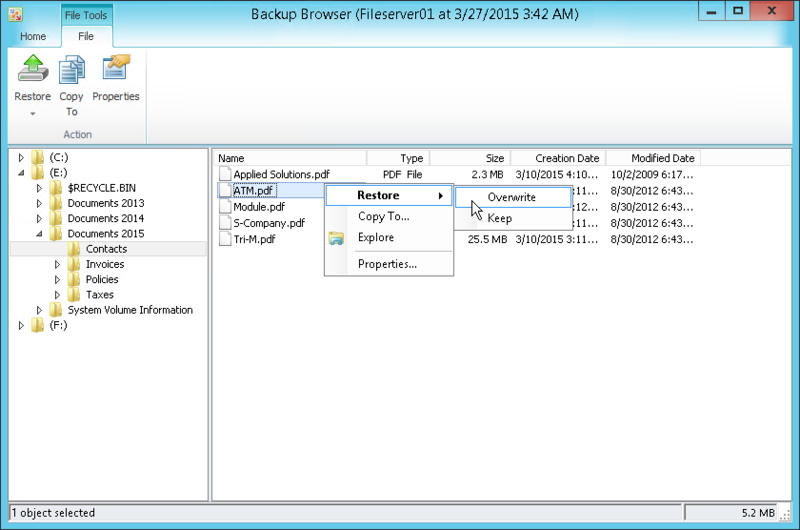 You can restore individual files and folders from Veeam Agent backups. You can browse to files and folders in the backup and restore the necessary files and folders to their initial location to a new location. 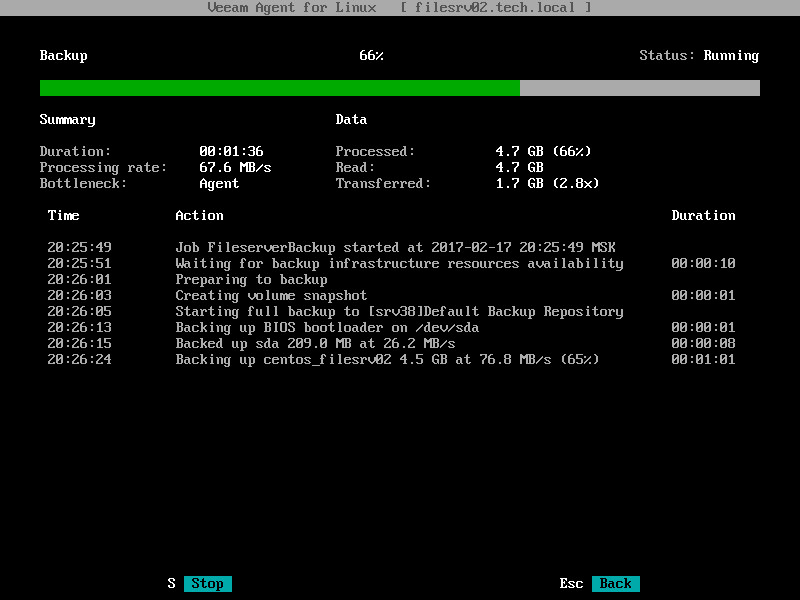 Veeam Agent for Linux FREE is one of the newest addition in our portfolio and it allows you to backup physical Linux systems — such as workstations, servers and machines — in the public cloud. This solution allows you to create image-based backup for specific volumes and files or for the entire system and it is designed for any IT administrator. You can access it through the command line or graphical user interface (GUI). You can monitor the progress of the currently running backup job session, as well as view detailed statistics on performed backup sessions. As a bonus, we also put together a free collection of Visio Stencils for VMware, Hyper-V and Veeam to make your diagrams shine. 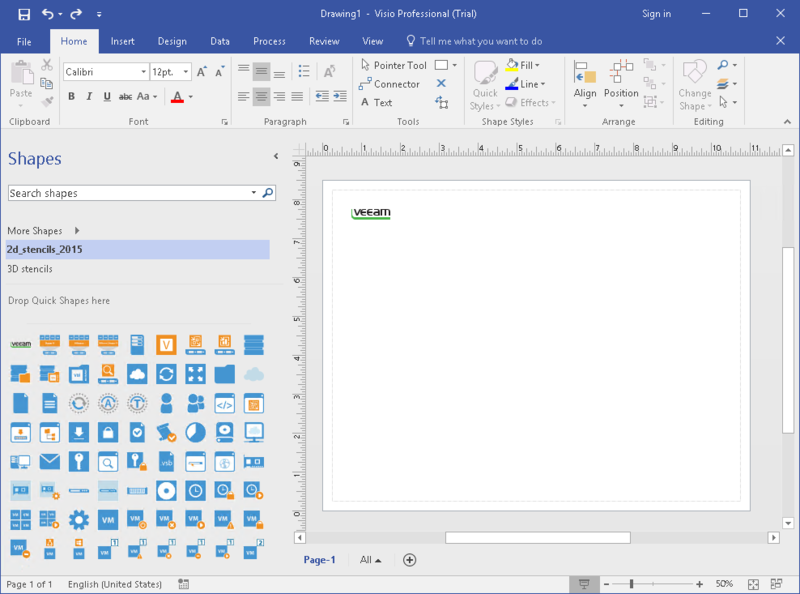 They are compatible with Microsoft Visio 2010, 2013 and 2016 and are ideal for any system administrator who needs to create stylish, yet simple presentations, reports or documentation. Our FREE tools provide a high level of functionality and features that cover a wide range of requirements. The vulnerable areas or your virtual and physical infrastructure can be strengthened without any expenditure. You can find the complete catalog of our free products here. Do you have a success story of protecting your data using any free Veeam tools? Share it with us on Twitter!